Aaah, November. A time where the temperature gets cooler, the football games get more serious and sales executives and salespeople start planning for the next year. Over my career, I’ve done quite a bit of yearly sales planning. As a salesperson, a sales team leader and for the last 11 years as an advisor to growing companies, I’ve seen about every version of a sales plan. I’ve seen what works, and a lot of what doesn’t. To help with this annual ritual, I thought I’d share the top 10 lessons I’ve learned in developing effective sales plans. A quick caveat first. What follows are lessons for developing action-oriented sales plans. If you’re looking to raise money or if you’re dealing with political edicts from above, these lessons may not apply. 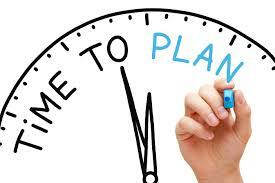 With any plan is that, by planning you are inherently trying to predict the future. The problem with that is that people are horrible at predicting the future. The value of a planning discipline is that by consistently planning you should get smarter. This is why I begin any plan with a “working/not working” debrief. I log these findings in the plan, as they provide quite the history when you review plans in the future. I’m constantly amazed at how many sales plans that I’ve reviewed that have no definition (and virtually no mention) of the customer. Your sales plan is a great opportunity to reinforce your buyer personas and focus on the problems you solve. This applies in two ways. First the shorter the sales plan, typically the better it is. Second, and more importantly, the sales orghttp://blog.imaginellc.com/faststartsalesanization (or salesperson) that focuses better on fewer tactics will win. A salesperson can’t focus on more than 3 – 5 tactics, and a sales organization shouldn’t focus on more than 5 – 7. Every action, task and tactic needs to have an one – and only one – owner. This does not mean that only one person can work on it, but it needs to be clear who is responsible for the effort. Ideally, the person assigned with the responsibility should also have the authority. How will you know if you’re on track or off? When will you test the assumptions of the plan? Looking back the best sales plans I’ve contributed to are the ones for companies with the fewest resources, and some of the worst were for companies that have plenty of resources. Too often executives use money (or other resources) to make up for lazy thinking – don’t let that happen to you. It’s important to clearly articulate what you will measure, when you will measure it and what the measurement means. Don’t overwhelm your plan with measurements, and make sure there’s a good balance between forward-looking and trailing indicators. The sales plan is not the time to dream. Trust me, I made that mistake for years. The sales plan needs to be anchored in reality or it has no chance of getting the traction you want from the process. If you’re the type that just can’t plan without make stretch goals, you’ll need to create three plans: the stretch, the most likely and a worst-case. The goal of a sales plan is to bring purpose and clarity to everyone’s efforts, and to create a clear picture of the present and future to use for reviewing process. You’re should be trying to write a Pulitzer winning plan or one for a case study in Harvard Business Review. Keep it simple, actionable and clear. In my experience, a good sales plan is good for three months, maximum. So, write your plan for a year, review and adjust (and, ideally rewrite) your plan every quarter. Taking this approach allows you to incremental evolve your approach, rather than dealing with change initiatives that never sink in. Good luck on your planning. Follow these 10 rules and let me know how they work.